Buy A Motorbike Tyre From Us And Use Our Professional Equipment Free! 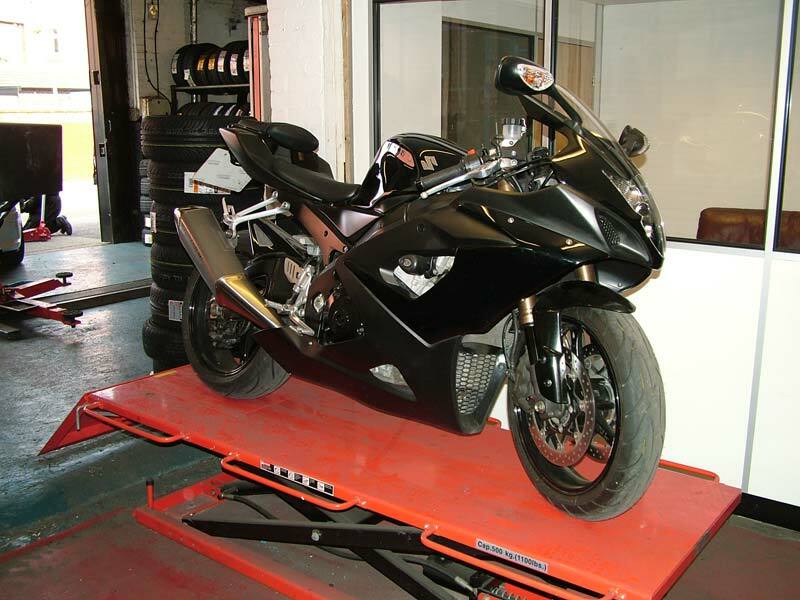 At A &M Tyres, Wigan, not only do we fit motorbike and motorcycle tyres to customers’ bikes, we also own and operate our own bikes. This ensures that we understand the trials and tribulations of life on two wheels and take greater care in handling a customers pride and joy! At A & M Tyres, Wigan, we stock, supply, find and fit the perfect Motorbike Tyre. All our tyre prices include VAT, fitting and balancing. At the Wigan tyre fitting centre, we have a fantastic area for motorbike enthusiasts to work on their own bikes, using our equipment for free! (max weight: 500kg) Simply purchase a tyre from us and take advantage of our specialist equipment. No need to bring a full set of tools either, alongside the professional bike ramp, we have a fully stocked tool kit for you to use if you wish to work on your bike. Professional Advice If You Need It! And if you get stuck with any aspect of the fitting, we’re here to lend a hand and offer you professional fitting advice in an instant!